Home Games The newest Smash Bros. Ultimate character is… Piranha Plant?! The newest Smash Bros. Ultimate character is… Piranha Plant?! In a recent Nintendo Direct, more new members of the Super Smash Bros. Ultimate have been revealed. The new characters include the Pokemon Incineroar and Street Fighter’s Ken. 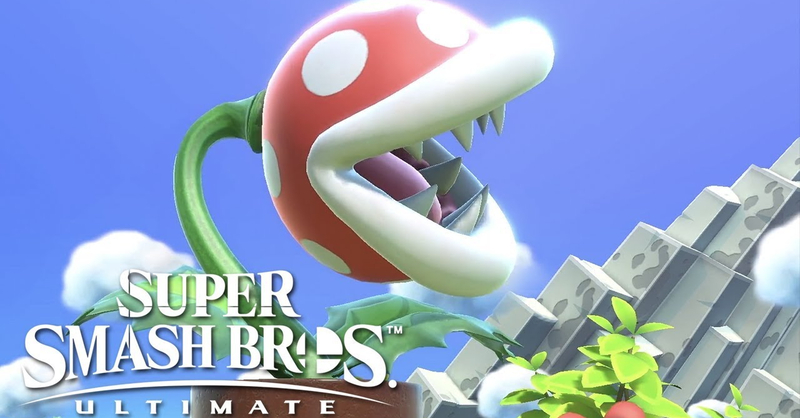 These aren’t the biggest surprises though, as Nintendo also revealed that Piranha Plant will be part of the Smash Ultimate roster. Yes, that Piranha Plant, we’re not kidding. Ahead of the recent Nintendo Direct, fans were speculating that famous Nintendo characters such as Geno (Super Mario RPG) or Banjo-Kazooie will be part of the Smash Ultimate roster; some fans also still hoped for the inclusion of Waluigi. We’re pretty sure no one expected Piranha Plant to be part of the Smash roster. Super Smash Bros. Ultimate will be released for the Nintendo Switch on December 7, 2018.